This week, Diamond Select Toys president DSTChuck is answering your questions about Minimates mini-figures, and like Minimates themselves, this Ask DST is short and totally sweet! From Marvel Knights to Agents of SHIELD, from Ghostbusters to The Walking Dead, various real and hypothetical Minimates lines are discussed, plus the carrying case question is back! Welcome back, carrying case question! We missed you. Read on for the inside dope, then submit your own question in the drop-down form up top or e-mail DSTChuck! Any update on the Agents of SHIELD MiniMates? I think especially with this current season you’ve got some good characters to make. (Coulson, Quake, Robbie Reyes, Ghost Rider, Director Mace, etc.) I hope you guys make them soon! DSTChuck: Isaac, it has been discussed, and it has not been ruled out, but we do not have any plans right now, so we’ll have to see. Hi Chuck, just checking in to see if you’ve given any more thought to releasing another Minimates Collector’s Case? Even a re-release of the original blue box with or without a promo Minimate would be appreciated. DSTChuck: Right now, there are no definite plans, but DSTZach and I did discuss some ideas recently, so we’ll see if it happens soon. Just some thoughts, I have loved ALL the Ghostbusters MiniMates released thus far, I just hope it has not come to a halt yet. But that may be me beating and busting a dead horse. DSTChuck: At this time our GB MM ideas are mostly on the drawing board, but we are always looking at more Ghostbusters for all of our various product lines. So never say never. DSTChuck: We have been talking about a wave like this of late, so I think something like it could be very possible in the future. Hi, I have a question about the “The Walking Dead” Minimates. I don´t know if you cancelled them or something because I haven´t see anything new in a long time. Why is that? DSTChuck: There are no more series planned at this time, but we have not ruled out doing more in the future. Submit your own question in the drop-down form up top or e-mail DSTChuck! 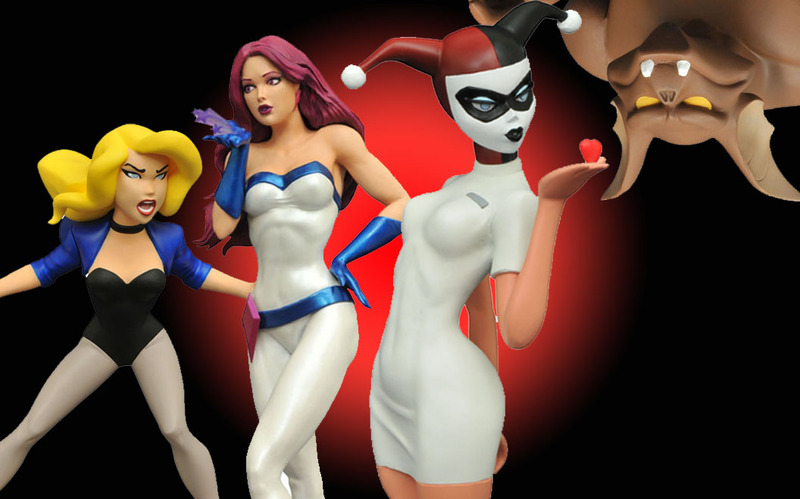 Next Up: In Stores Now: Harley Quinn, Black Canary and Jessica Jones!